Here are some of the most frequently asked questions and answers. For any other questions, please Contact Us. Little Nudge is computer software with simple evidence-based reminders ('nudges') to do healthy activities during the course of the day. How do I install Little Nudge? Download the ‘Free Trial’ installer from the website. Start here. Download and open the installer. Click ‘Little Nudge.exe’ (you may need to extract this file). Run the Installer. This requires you to be an administrator for the computer you wish to install Little Nudge on. Follow the steps of the installer by clicking the ‘Next’ button. When the installer asks you to choose between ‘typical’ or ‘custom’ installation, we recommend you click ‘typical’. You may need to grant the installer permission to change files if prompted by Windows. Click ‘Run Little Nudge’ at the end of the installation. Little Nudge will then run for 30 days. To activate your copy of Little Nudge, simply click ‘Activate’ when prompted at startup and browse to your unique license file which you are given upon purchase. For detailed installation instructions, follow this step-by-step guide. What are the system requirements for Little Nudge? How do I purchase Little Nudge? Following this, we will send you details for how to make your payment. Once we have received payment, we will email you an instructions for how to activate Little Nudge. How do I activate Little Nudge after purchasing a single license? You will receive an email within 1 working day after purchasing Little Nudge with activation instructions. Follow this link for detailed instructions. How do I find out more about a particular nudge? Click on the nudge when it appears on your screen. This will take you to a page with more information. How do I add my own nudges? Right- click on the orange Little Nudge icon on your tool-bar and click ‘open Little Nudge’. This will open the settings menu. Click on ‘Nudges’ (on the left side of the settings menu). This will open a tab where you can type in your own reminders. How do I remove nudges? Right-click the orange Little Nudge icon on your tool-bar and click ‘open Little Nudge’. This will open the settings menu. Click on the ‘Nudges’ (on the left side of the settings menu). Click on the nudge you want to delete and press ‘delete’. How do I switch Little Nudge off? Right-click the orange Little Nudge icon on your tool-bar and click ‘close’. Little Nudge is switched off, how do I get it to work again? Double-click the icon on your desktop. If you cannot see an icon on your desktop, go to the ‘start’ menu and find Little Nudge in ‘all programs’. Click on ‘Little Nudge’. Right-click on ‘Little Nudge’ and press open. Does Little Nudge work on macs, phones or iPads? Not at the moment. 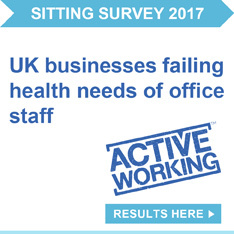 If you work in an organisation which would like this to be available on other devices, do get in touch at info@littlenudge.com. How do I disable Little Nudge for a period of time? Right-click the orange Little Nudge icon on your tool-bar and click ‘disable for an hour’ or ‘disable for the rest of the day’. Can I disable Little Nudge during presentations? Yes. Right-click the orange Little Nudge icon on your tool-mbar and click ‘open Little Nudge’. This will open the settings menu. Click on the appearance menu (on the left side of the settings panel). Click the box next to ‘Do not show nudges if in full-screen’. We collect the following data about each person using Little Nudge. We do not share personally identifiable information with third parties. It is stored in a secure cloud storage solution, which is managed by Microsoft and based in Ireland. We own the data and have the right to publish and use it. We will ask a clients’ permission before publishing data with their company name. And if a client changes their mind later we make it easy to stop sharing their data with us. Clients can use and publish data with our name, with permission. Security and privacy is fundamental to the design of Little Nudge. We utilise the data to deliver improved product performance and user experience as well as supporting Little Nudge’s business development operations. We will ask a clients’ explicit permission before publishing data with a company’s name. What are the Little Nudge Champion Resources? 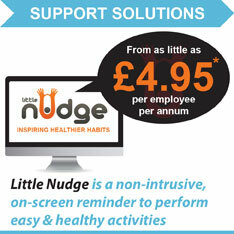 They include posters, example emails and newsletters to support engagement with Little Nudge. How can we access the Little Nudge Champion Resources? Following purchasing Little Nudge, you will be given access to the Champion Resources area of the Little Nudge website.